MindCite is a data mining intelligence company that integrates data from such diverse sources as news, blogs, subject expert websites and chat rooms to fight crime around the world. It uses two basic techniques, MindCite CTO Oren Yosifon explains. Ontology technology uses knowledge representation - triples - to connect the dots between a subject, a verb, and an object. It also uses inference logic that enables it to detect sentiment and pick out the enemies or bad guys. Citer, MindCite's intelligent Web Crawler, monitors data from Open Source Intelligence (blogs, chats, forums, news releases) on the Web. It also mines the data in closed and open agencies and records and then integrates the two in a visual map that shows relationships. "Our system is on the watch for changes," says Yosifon. "If a new trend, or new people appear (involved in a drug cartel, or terror cell), it will send out an alert to the client. Our system can monitor many more websites, analyze and create a summary report of potential risks much faster, and cheaper, than other systems. Our edge over competitors is that our system is more precise." 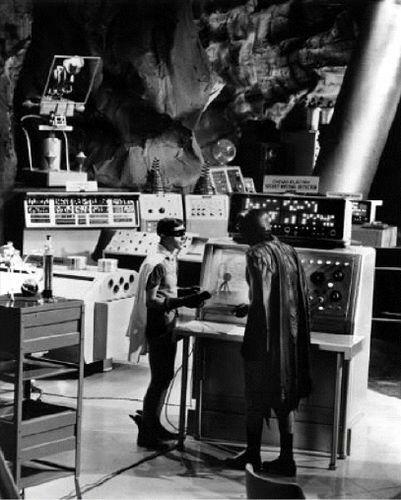 Fans will recall the BatComputer, which also combined information from different sources, using satellite linkups to find the latest details. This device could, among many other things, tell the Dynamic Duo what was happening, crimewise, at any given moment. You might also b interested in this Crime Mapping Website. Take a look at the MindCite product offerings and Israel21c. Thanks to Moira for the tip and the reference.